Swedish electro-pop stars Melody Club released one single, the brilliantly catchy Electric, in the UK in May 2004 (although it originally came out in Sweden in 2002) to little success, but they are fools if they don't try again with this excellent single. It was a hit in Sweden towards the end of 2004 as the second single from their latest album Face The Music with the best CD cover I've seen in a long time (see left). 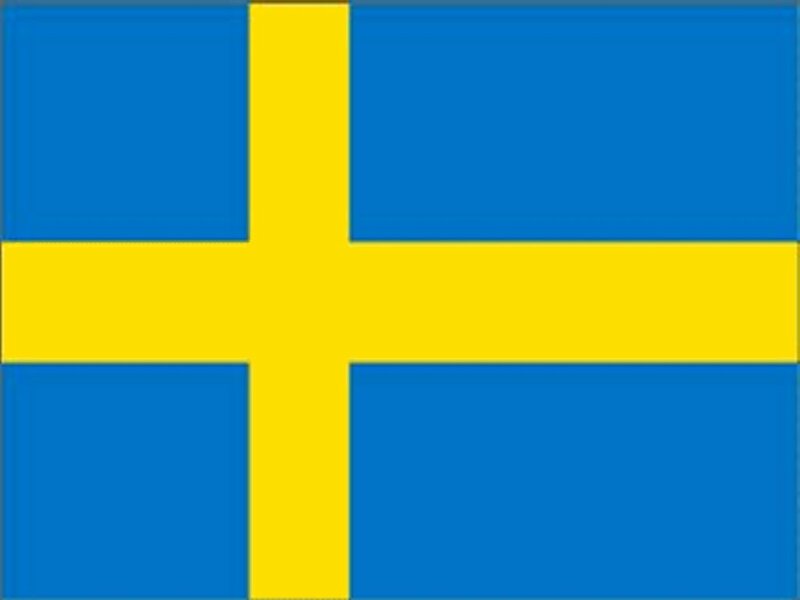 Baby sounds like the super-cute Swedish answer to Pulp. It's extremely catchy, incredibly sweet and generally magnificent. If this is what passes for rock music in Sweden (don't be put off - it really isn't! ), it's no wonder their pop is so dazzling. Also worth a listen (or 50) is the previous single, Take Me Away with the "hey! hey! heeey! "s that refuse to leave your brain. What U Got was rubbish and Stop Sign caused his fans to annoy everyone by incessantly claiming that he was the original Justin Timberlake, but Abs still managed to make 2 excellent singles in Little Miss Perfect and 7 Ways. However, this doesn't mean we can stop hating him - the brilliance was all due to the fabulous female singers he employed to make the songs catchy and ace. This one was also produced by Xenomania, which always helps! The female singer is named 'Angel' on this cover, but Eve on the album sleeve and 'belongs' to Xenomania Records so I guess she is a session singer with them or something. I seem to remember her being French as well, or at least the way she sings makes her English words sound French. I particularly love the lyric, "a sugar-coated kiss and a lipstick mark, there are 7 ways of breaking my heart" and the sweet Annie-esque way she sings it. I have posted a Kim-Lian song here before (Garden Of Love) but here is another from her 2004 album Balance. There is nothing spectacularly original about Kim-Lian's music, but I love her for her constant excited energy and how her songs take the best of Europop and girly pop/rock to make this big rocket of unforgettable aceness. This one reminds me particularly of another excellent Euro pop/rock act, Shebang. It has a brilliant middle 8 and proves that you can thrash about in a headbanger-ish way to music that doesn't make your ears bleed. This was one of those rare but excellent surprises where a band I'd paid no attention to suddenly came out with something rather ace. The Heartless Crew were pretenders to the So Solid throne in 2002 but failed miserably with just 1 top 30 hit. They released this single in 2003 and I caught it by accident one day flicking through music channels and stopping on Channel U (presumably standing for 'urban' - I can't say I watch it much normally!) to see who this group was. The song has several different sections with different vocalists, one of whom appears to be a young teenage girl in the video despite the rapper boy she's singing to being in his 20s for sure. Even a nice pop girl like me finds herself wanting to groove around in an urban way to this. If So Solid Crew could have a no.1 hit, why wasn't this huge? According to their website they're due to make a comeback this year, so I shall be sure to pay them more attention this time around. 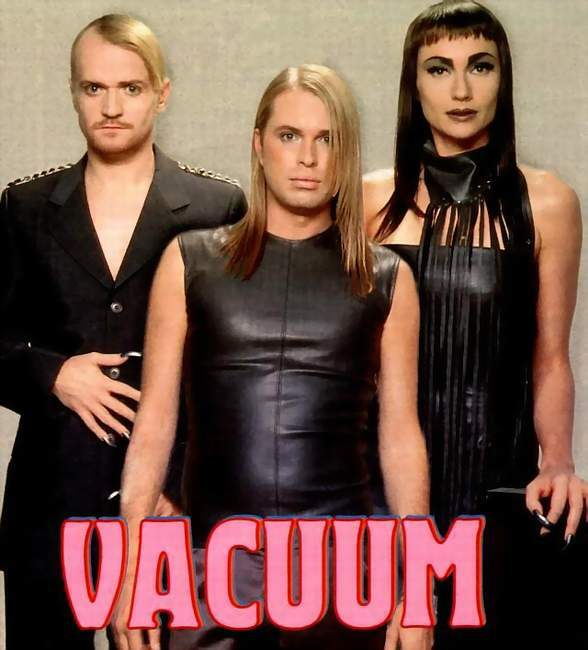 I'm sure you've heard about Rachel Stevens' exciting forthcoming single Negotiate With Love, but what you may not know is that Wollbeck and Lindblom, who co-wrote the new song along with someone interestingly named Nervo, have a band of their own named Vacuum. They are from the same stable as Alcazar and Bodies Without Organs and once boasted Army Of Lovers singer and the main man behind this fabulous music, Alexander Bard as a member. Vacuum have been around for over a decade, firstly as a producing team and then a group in their own right, and have released 5 albums. This is a track from their 1997 debut, The Plutonium Cathedral. Fans of any of the acts mentioned above will see the similarities in sound, and anyone who likes the slow songs on Alcazar's albums, for example the epic Tears Of A Clone, should give this a listen. This girl/boy band are the latest winners of Popstars in Germany, which from the songs the winners performed was either rock music-themed or the Germans have denounced cheesy boybands for scary rock. Nu Pagadi are a little scary for a Popstars group, but only in a very ace way. They look and sound like the evil German version of Alcazar. This song is anthemic electro-rock-pop with lots of talking in German (for extra scary effect) but the fabulous chorus is in English. Perhaps they should move over here seeing as the Germans don't seem to like them very much - all the mean reviewers on Amazon give their album just 1 star! It's very catchy, heaps of fun and gets better and better as it goes along, so download it NOW! I'm not usually into these chill-out, trip-hoppy songs, but I've always liked Skye's voice and although some of the songs are not my cup of tea at all, there are also some that I love. Rome Wasn't Built In A Day and the rather fun What's Your Name are two favourites, but 2003 album track Fear And Love is the one that grabbed my attention. It's a slow, simple song but the lyrics, melody and singing are all beautiful and very sad. The lyrics I particularly like are the first lines, "We always have a choice...at least I think we do", and the chorus, "Fear can stop you loving, love can stop your fear, fear can stop you loving, but it's not always that clear". I'm loving the Zainam from Cleopatra-inspired look in this photo as well! I first heard of The Honeymoon when I saw them supporting Darren Hayes live on his recent UK tour. After the unsuitable (for his granny fans) DJ act he had on his previous tour I hadn't expected too much from The Honeymoon but they turned out to be a very pleasant surprise! They are a duo made up of an Icelandic girl named Thorunn Magnusdottir with a gorgeous voice and the strangely Sneddon-esque (despite being a semi-goth in the promo pictures) guitarist/songwriter and occasional singer Wayne Murray. They sang a few songs which I thought were lovely and then did a cover version of a favourite of mine, Running Up That Hill by Kate Bush. That got me hooked and I bought the album a few days later and was soon enjoying it very much. I was also pleased to see an excellent (as ever) review of their song Reconcile on Pop Text. The music is very pretty, with most songs balancing great emotion and gentle delicacy in a way that not many manage. Truth Hurts is one of the catchiest songs on the album and the one that I went away singing after seeing them live. Their "Customers who bought..." list on Amazon includes the Delays and Phoenix which is interesting as I like them both, but as much as I do think fans of theirs would like the Honeymoon I'd be more likely to compare them to The Cardigans or Everything But The Girl.